Every one of these awards mean so very much to me that mere words cannot convey the pride and the thrill that I felt upon receiving each one of them! 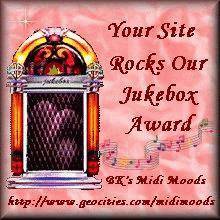 I thank each and every one of you who have taken the time to visit and find this site derserving of your award! My very first award! July 11, 1999 to July 17, 1999 - I still cannot believe that I actually won this! Thank you so much, Draac! This award is from Paul. 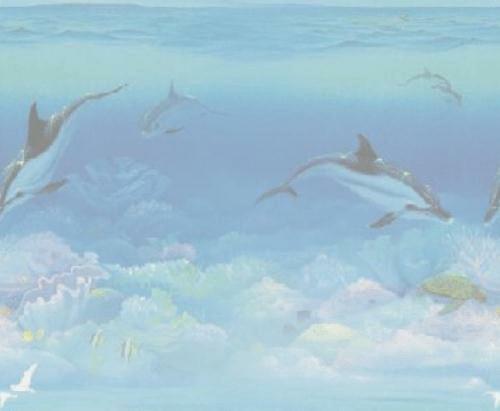 August 10, 1999 - Heartfelt thanks my very dear friend! Award received 12/6/1999! Thank you so much Warpspeed! Award received from Tboob for the week of 12/19/2000 thru 12/15/2000! Very much appreciated Tboob! 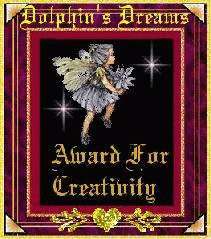 This award received from "Annie's Treasures" on 8/5/2000! Thank you so much Annie! 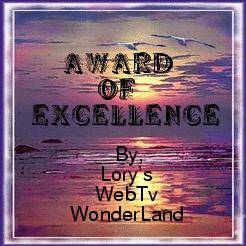 Thank you Lory, I truly appreciate this award! This award received 5/3/2000! Many thanks Ghostwriter for this one! 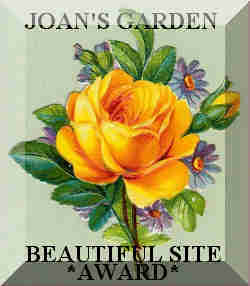 This award received on 8/12/2000 from Joan - "Joan's Garden Door". Thank you Joan! This award was received 8/29/2000 - From Herb. (aka Qnut) This award means so very much to me, not only because Herb is one of the first people I met on the web, but because he has also become one of my most dear and closest friends. Not to mention that I am the FIRST recipient of this award! "Huge Hugs "Herb!!!! This award won on October 1, 2000 (my birthday) What a great gift it is indeed! I knew the first time I saw Cal's site, that it was a real "keeper". Thank you so much Cal & "Huge Hugs". 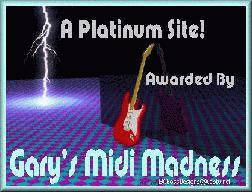 This award from Gary, coming today, 11/21/2000,the day of this site's re-birth, means more to me than I can adequately express! Thank you so much Gary! This award was actually received on 12/26/2000. At that time, BK'S Midi Moods was not Webtv compatible. The creators of the site, when made aware of the problem, generously altered it so that all of us would be able to enjoy it! Thank you so much B & K! "Huge Hugs" to you both! 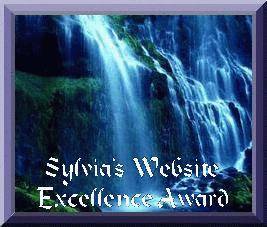 This award received 1/03/2001 From Sylvia! "My Trivial Pursuits" - Her site has lots to offer everyone, from personal opinions to links of great webtv help sites and is certainly worth the visit. 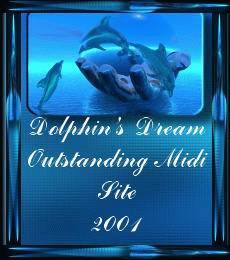 This adorable award was received on 2/27/01 from "Teddy" of "Teddy's Favorite Midi's. 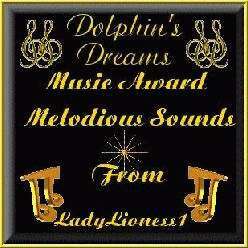 Please take a few minutes to visit her growing midi site. 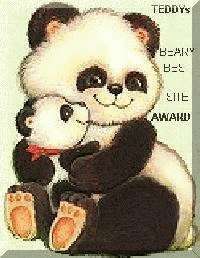 "teddy Bear Hugs" to you Teddy for this great award. 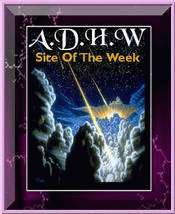 This award received on 3/24/01 from the A.D.H.W. Newsgroup It is my first award to be given by a newsgroup and I am absolutely thrilled by it! My sincere thanks to all of you in the group! This award also received 3/24/01 from "Paulie". What a really great day this has turned out to be. My heartfelt thanks for this beautiful award Paulie! 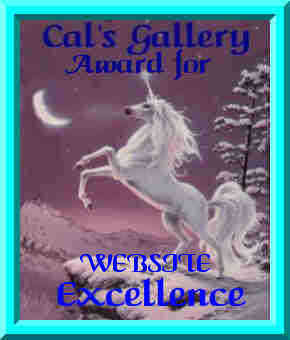 I do have to add, that this award was also the most challenging one I have ever had to figure out how to add to my site. Thank you "Paulie" for making me use some brain cells that were long dormant! "L"
This award was recieved from "Driver70" on 3/25/01. His help site is considered to be "one of the best" and I am proud to display his award. I have known Driver70 for several years now, being part of the team that ran the "School Of HTML" which was created for the sole purpose of helping others. 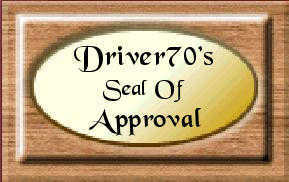 The school is inactive now but Driver70's site continues to flourish! Thank you so much Patrick and "huge hugs". 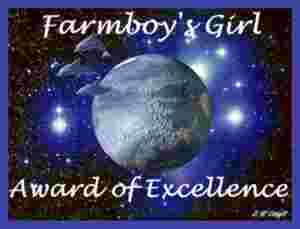 This award recieved on 4/05/01 from "~Barbie~" I never cease to be amazed and honored when I recieve an award for something I enjoy doing so much! 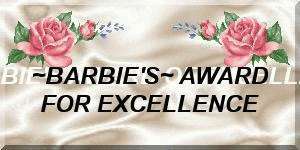 My sincere thanks Barbie for honoring my site! "Hugs"
This award recieved 4/7/01 from "Amanda", webmistress of "Angels Among Us". Amanda's site, while heart wrentching to read, confirmed what I, as a mother myself, already knew - that the bond between a mother and her child can never be severed. Amanda, thank you so much for your courage and for this beautiful award! This award was received on 5/4/01 from Sarah who has one of the most beautiful sites on Native Americans I have ever had the pleasure of visiting! 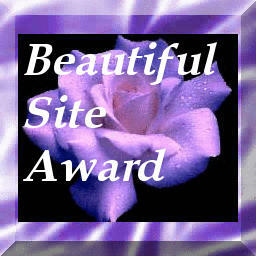 Thank you so much Sarah, for this beautiful award and also for your wonderful site. This award was received on 5/5/01 from Helmuth John Sandgathe. His site offers great flash movies, tributes to great artists, classic cars and lots more entertainment. Thank you so much for this award John! 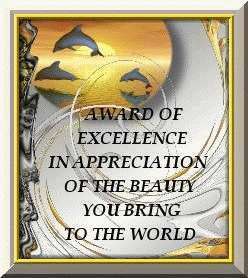 This award was received on 5/5/01 from Becky, whose great site, "Bits of Wisdom" has some absolutely great poetry. It's a "must visit". 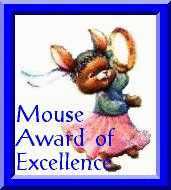 This award was presented on 6/22/01 from "Marymouser", who just happens to have a great little poetry site. Why don't you pay her a visit and read for yourselves? Than you so much Mary for this adorable award. 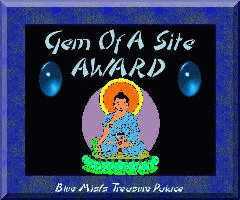 This award was received on 8/17/01 from "Blue Mist's Treasure Palace". She has one of the most incredibly beautiful "oriental themed" sites I have seen. The poetry and the music are awesome. Please take the time to visit her site. It will be time well spent. 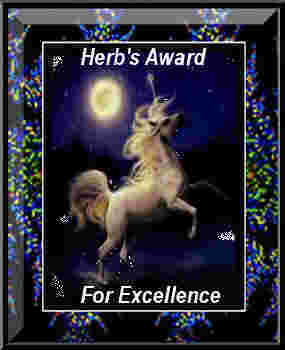 This award was presented to me on 9/6/2001 from "Jamester's.com". Some of you may remember him from his former "Titanic Pages". His site offers a wealth of information and is well worth a visit. I am most honored to accept this beautiful "Pearl Award"
This wonderful award was presented to me by "LeProfesseur", On 2/2/02. To be given this award, by a person whose own works and reputation are so highly regarded by the webtv community, is indeed an honor.Thank you so much Professor. 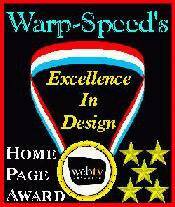 This award was presented on May 30, 2001 by the "Webmaster"
Thank you so much for this unique award. I received this award on 6/17/02. It was not for this midi site but rather for a "Fairy signature" I had been using in my e-mail. The contest was announced in various news groups and I decided to enter "just for the heck of it". After seeing what so many really talented people were capable of creating, I decided that I didn't stand a chance. Wow! was I surprised. What I did find in this group, besides a talented bunch, was a great group of people, who enjoy swapping ideas and sharing their creativity. 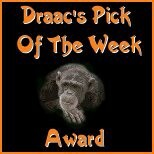 Thank you so much "Kimber" for this "Kimber's Choice Award". 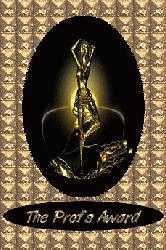 The above two awards were presented to me on 7/2/02 - by ~Lady Dorothea MoonStar~. 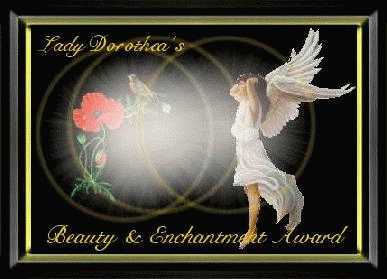 Lady Dorothea has a marvelous Celtic/Medieval site filled with all sorts of magical wonders. Thank you so much for these beautiful awards Donna :-) It is the first time I have received two awards from one person - it was "double the pleasure". This award was received on 9/23/02 from "The Curator" aka "Table Guy". If you are interested in seeing what can be done with tables, this site is a "must see"! 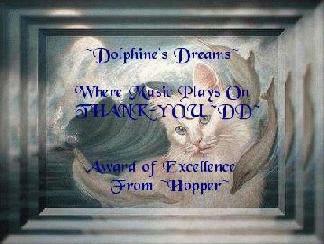 This award was received on 11/09/02 from Terri, owner of "Tuneweaver's Special Sigs". 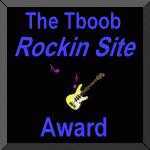 If you are looking for that "special" theme, I'd recommend a visit to Terri's site. These two awards were received on 1/14/03 from "Lady Lioness" of "Love and Lyrics", a site filled with poetry for all occasions. Thank you so much for my first awards of the new year. 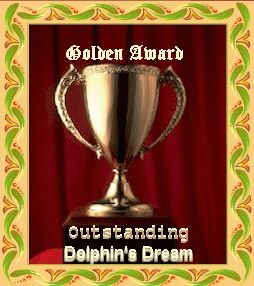 This award was received on 4/21/03 from "Hopper's Mania" a site filled with 200 pages of gifs, short stories, tutorials, native American pages, and so much more.